A yellow cloud of gas swirls throughout your village. With every breath you take, needles pierce your lungs. Your child struggles to breathe. As her face seizes in agony, you realize that her last moments are also your last moments and there is nothing you can do about it. Thousands of Kurds experienced this fate because European corporations chose to take Saddam Hussein’s money and build his chemical weapons. Their memories and those who survived, scarred in body and soul, demand that these companies be held accountable. From conspiracy to genocide, learn more about what these companies did. 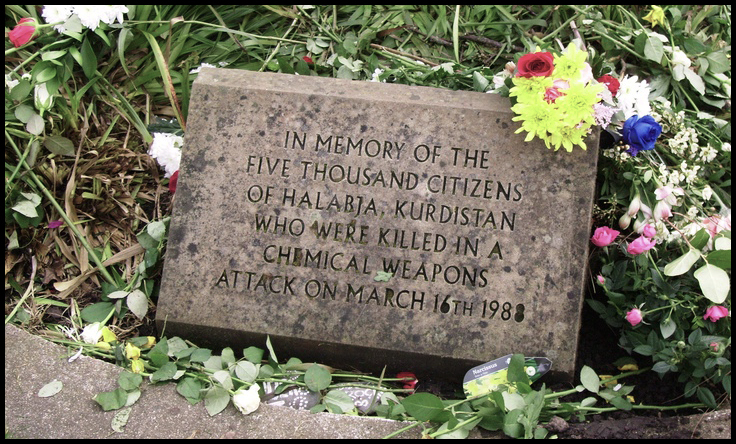 Halabja Victims Society is a grassroots organization whose mission is to mobilize the families of the victims and the survivors of the massacre to achieve justice and hold the perpetrators of the largest chemical weapons attack since World War II accountable.